I was hunting for photos of Spitfire production when I happened across this incredible photo of Spitfire destruction. It came from a 1942 newspaper file and carried the slug ‘AUSTRALIAN PILOT WINS COMBAT WITH HALF DESTROYED RUDDER’. Needless to say, my curiosity was aroused, and not just because ‘half-destroyed’ seemed such a conservative assessment. No newspapers seem to have run the picture, although the incident was appended to a syndicated article about the exploits of No. 452 Squadron RAAF, which was operating Spitfires in England at the time. So with a little more digging, some of the facts started to emerge. The lucky airman is Sergeant Pilot J (“Jack”) Morrison of Grafton in New South Wales. While flying a Rhubarb (armed reconnaissance mission) over Normandy on 14th March, 1942, 452 Squadron ran into a gaggle of Focke-Wulf 190s near Cherbourg. 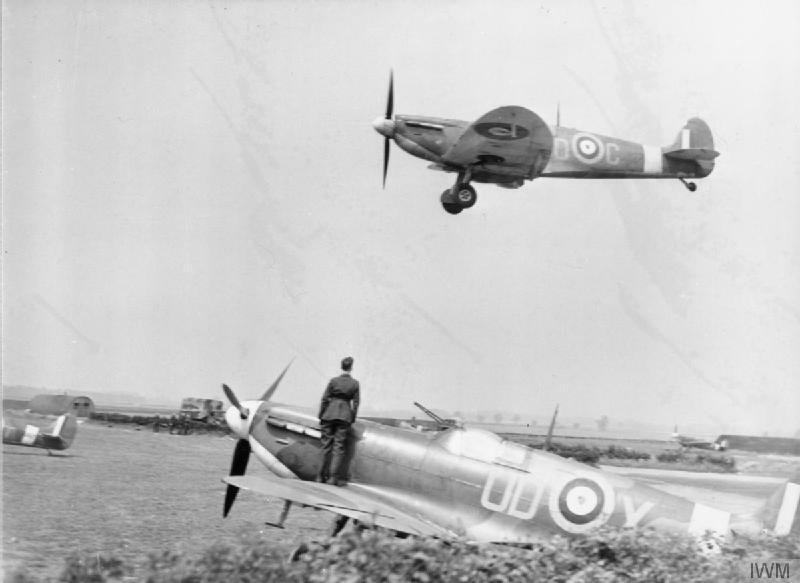 In their Mk.Vb Spitfires, the Australians were supposed to have been widely outclassed by the Luftwaffe’s agile new fighters. However they gave as good as they got. 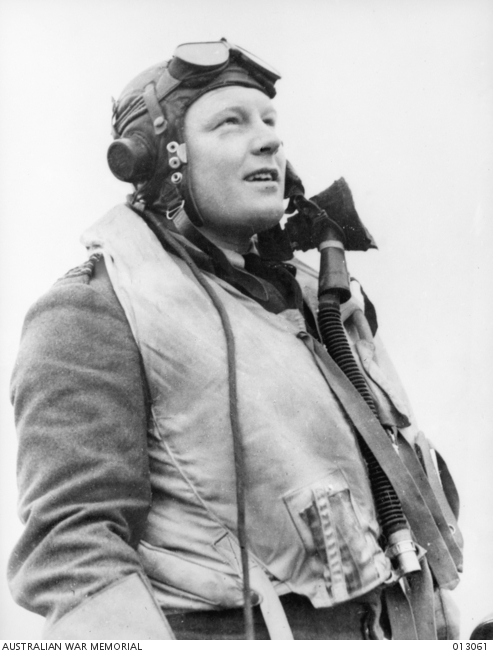 Morrison and 452’s Squadron Leader Keith “Bluey” Truscott ended up in a 50-mile running battle with the Fw 190s as the Spitfire pilots fought their way home across the Channel. And the shooting wasn’t all one-way. 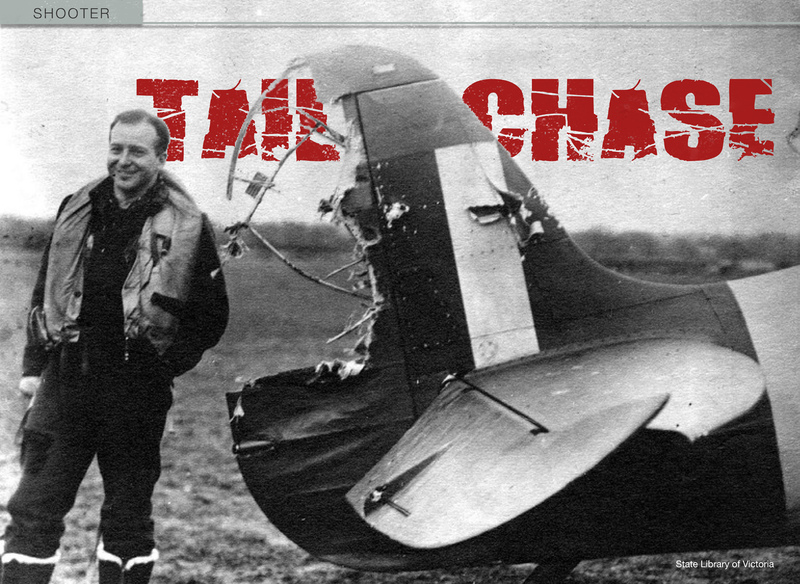 Despite losing a good bit of his tail to the enemy, Morrison was also credited with one Fw 190 probably destroyed, while Truscott was credited with one destroyed – his last victory in Europe. 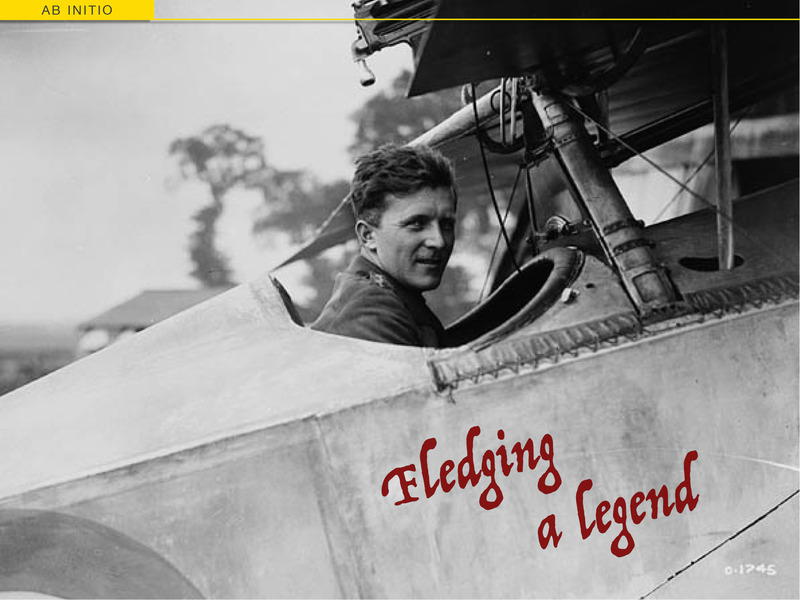 On reaching their base at Redhill, Morrison discovered just how lucky he’d been, and Truscott learned he’d just been awarded a Bar to his DFC. On March 17th, 1942, the Squadron was transferred to RAF Andreas on the Isle of Man, and in June they were stood down and transferred home to the Darwin area, for the defence of Northern Australia. Back in Australia, Truscott was given command of No. 76 Squadron RAAF, flying Kittyhawks. He was killed less than a year later, on March 28th, 1943, when he crashed into a calm sea while making mock attacks on a low-flying Catalina. I haven’t been able to find out how Jack Morrison fared after his narrow escape. However, it’s a privilege to bring just some of his story back into the light 73 years later.. If you can add any more details, please contact airscape. You can download your own copy of the photo from the State Library of Victoria, here. And the Temora Aviation Museum has a similar photo of Morrison with his Spitfire’s mechanics taken on the same day, which you can view here. The resilience of some of these old aircraft is amazing. The amount of damage they can take and not only fly, but fly well in many cases, is astounding. Same goes for those pilots. I wouldn’t want a bunch of angry Fw 190s chewing my tail off as I crossed 100 miles of cold ocean.